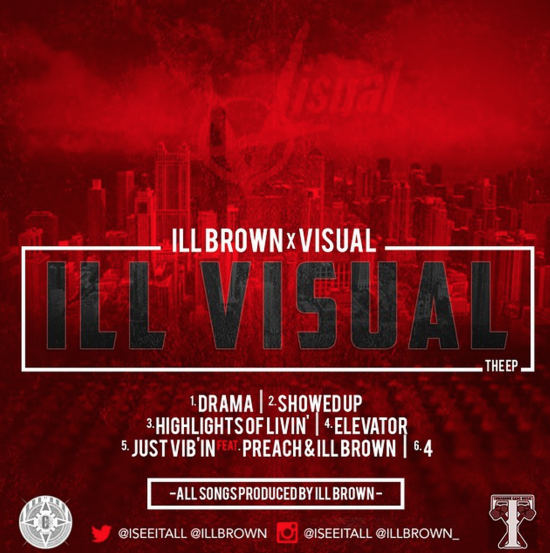 Rapper Visual and producer Ill Brown bring us an Ill Visual today. For real. The production and rapping powerhouse duo give us this brand new six-song EP filled with good hip-hop for your mind, body and soul. Today you can get an early listen of the Ill Visual prior to the album official dropping tomorrow, where you can purchase on iTunes or stream via Spotify. Listen to just how ill it gets below.